Whether you are traveling to Zurich privately or for business, our professional chauffeur service ensures you reach your destination in the city comfortably and safely. Thanks to the charming atmosphere around Lake Zurich and countless cultural highlights, there are plenty of ways to make your trip to Zurich unique. Landmarks such as the Great Minster (Grossmünster) and Women’s Minster (Fraumünster) cathedrals, as well as numerous museums, among them the Zurich Museum of Art or the Swiss National Museum, await you. If you love theater and music, a visit to the Schauspielhaus Zürich or to the world-famous Zurich Opera House (Zürcher Opernhaus) is a must. Relax after a long day of hard work or sightseeing in the restaurants and bars located in the picturesque old town. 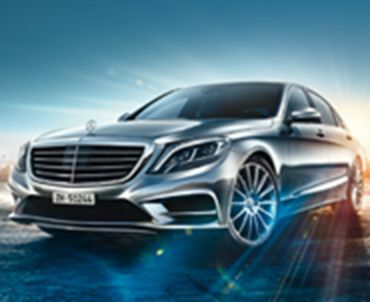 Enjoy a stress-free journey through the city to your destination with one of our chauffeurs. Choose from one of our two chauffeur service booking options because your plans determine the best choice: Select transfers if you need to get from one meeting to the next. If, for example, you are planning an excursion to the nearby mountain ranges, then we recommend an hourly hire. In addition, if you are traveling by plane to Switzerland, our reliable transfer service will be happy to meet you at the airport and bring you to your destination. At the end of your stay we will get you to your departure, safely and on time. You can book our chauffeur service via email or phone. Give us your flight schedule or route plan, and tell us if you would prefer an hourly hire or a transfer. Let us know how many hours you would like to book and your pickup and drop-off locations, as well as your preferred class of vehicle. Take your pick from first-class or a business class models, from luxurious minivans or larger passenger vans. We accept credit cards and bank transfers, or we can invoice you. If you have any questions, our friendly, experienced 24/7 live support booking team will be glad to help. TOP ALLIANCE AG – Your TOP address in the canton capital of Zurich. Services in the listed cities are provided by TOP-ALLIANCE and/or our partners.